Pianist Kim Sun-wook, now based in London, has returned to Seoul for a string of performances that show him in different lights, beginning with a recital where he accompanied bass Young Kwang-chul in an evening of lieder, German poems set to classical music, at the Seoul Arts Center on Tuesday. On Thursday and Friday, Kim joins the Seoul Philharmonic Orchestra led by conductor Osmo Vanska in a performance of Brahms Piano Concerto No. 2 in B- flat major, Op. 83 at the Lotte Concert Hall. Danish composer Carl Nielsen’s dramatic Symphony No. 4, Op. 29 “The Inextinguishable” sets the mood for the Brahms Piano Concerto No. 2 on both evenings. When Brahms finished his Piano Concerto No. 2 in 1881, 22 years after his first piano concerto, he was at the height of his maturity. In the intervening years, he had established his reputation as a composer of large symphonic works. The grandness of Piano Concert No. 2 derives from how Brahms employs the piano almost like a second orchestra. He had written to his friend and confidante Elisabeth von Herzogenberg, “It is a tiny, tiny little concerto with a tiny, tiny little scherzo.” But “tiny” and “little,” it most certainly is not. The complexity of the piano, the energy and the sheer length of it -- 50 minutes -- make this piece one of the largest piano concertos written up to that time. Without any break, Kim tackles yet another musical form, this time much more intimate chamber music, on Saturday at the LG Arts Center. Conductor Vanska, who is a clarinetist, steps down from the podium to perform in chamber ensembles SPO‘s “Chamber Series 7: For the End of the Time” featuring a program that spans centuries: Mozart’s “Kegelstatt Trio,” a piano trio for clarinet, viola and piano in E-flat major, K. 498; Schumann’s “Fairy Tales” for clarinet, viola and piano; and Messiaen’s eight-movement “Quartet for the End of Time” for clarinet, violin, cello and piano. The ensemble for the Messiaen piece is unusual, but was unavoidable when the French composer wrote it: He was a prisoner of war in a camp at Gorlitz, Germany and wrote it to be performed by professional musicians among the POWs. When the piece premiered on Jan. 15, 1941 in front of some 400 POWs at the camp -- outdoors and in rain -- Messiaen himself played the piano. Kim won the prestigious Leeds International Piano Competition in 2006 at the age of 18 -- the youngest winner and the first Asian winner in the competition’s 40-year history -- and his performance of Brahms Piano Concerto No. 1 with the Halle Orchestra led by Mark Elder in the finals of the piano competition won the young pianist international acclaim. Since then, Kim has occupied himself with mostly German composers. Over a two-year period starting in 2012, Kim performed the complete cycle of Beethoven Piano Sonatas at the LG Arts Center in Seoul. In February this year, Kim released an album containing three of Beethoven’s most popular piano sonatas: “Pathetique” (No. 8, Op. 17), “Moonlight Sonata” (No. 14, Op. 27 No. 2) and “Appassionata” (No. 23, Op. 57). 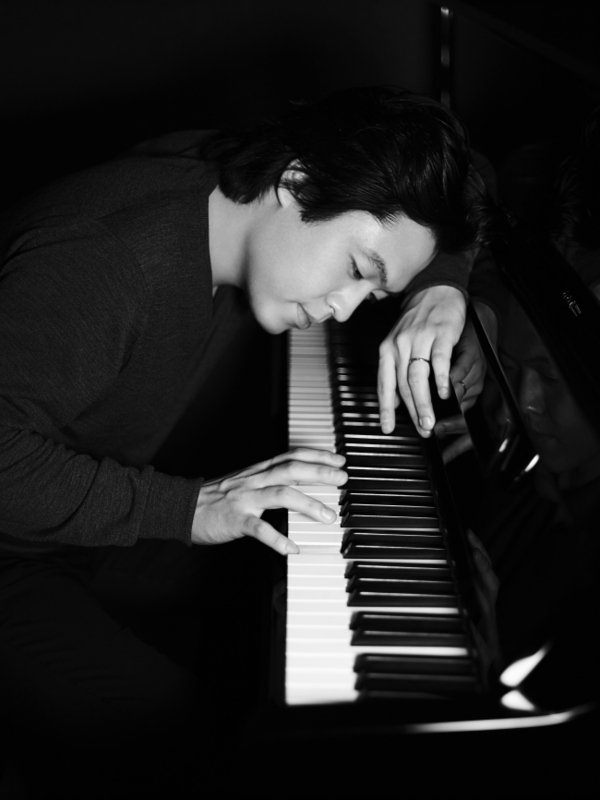 In May, Kim released an album of Brahms Piano Concerts Nos. 1 and 2 with the Halle Orchestra led by Mark Elder. It will be a special treat for Kim’s fans to see him perform a succession of different musical forms this week. The next time fans here get to hear Kim perform is on April 15, when he will perform a duo recital with the cellist Jian Wang at the Lotte Concert Hall in a program that has yet to be announced. Kim returns to the LG Arts Center on June 2 with the violinist Guy Braunstein, performing Brahms Sonatas for violin and piano Nos. 1, 2 and 3.